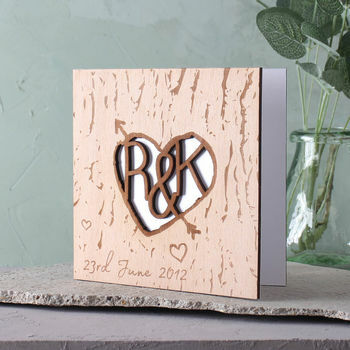 A romantic tree carved heart and arrow keepsake card, featuring couple’s personalisation and available in a choice of four colours. Express your love for one another with this sweet and romantic tree carving inspired greetings card. 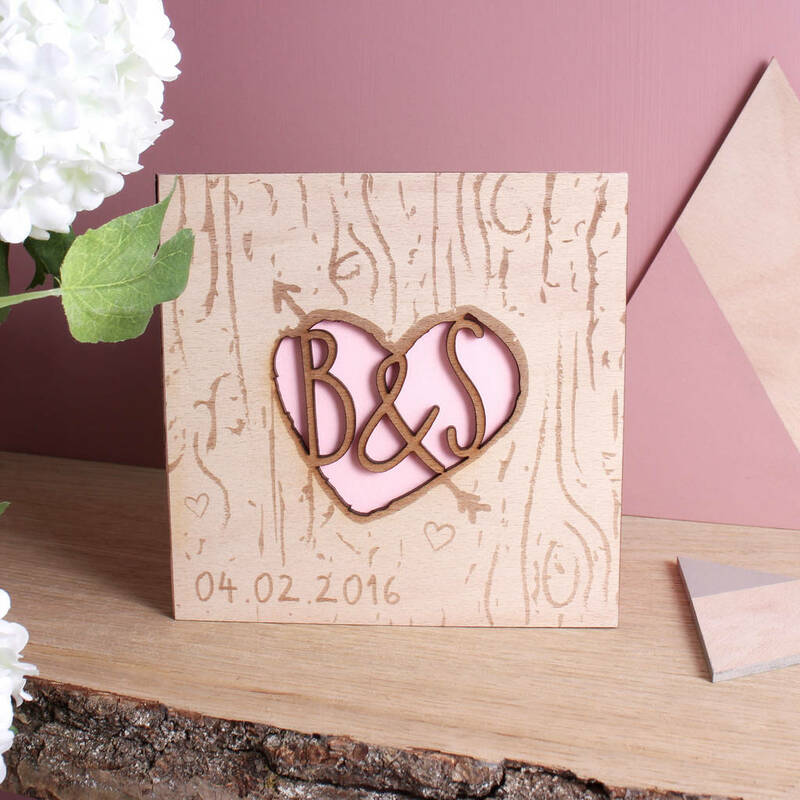 Featuring you and your loved one’s initials, the cut-out design in bark-like wood is a playful reminder of fond memories and an unforgettable declaration of your everlasting love. 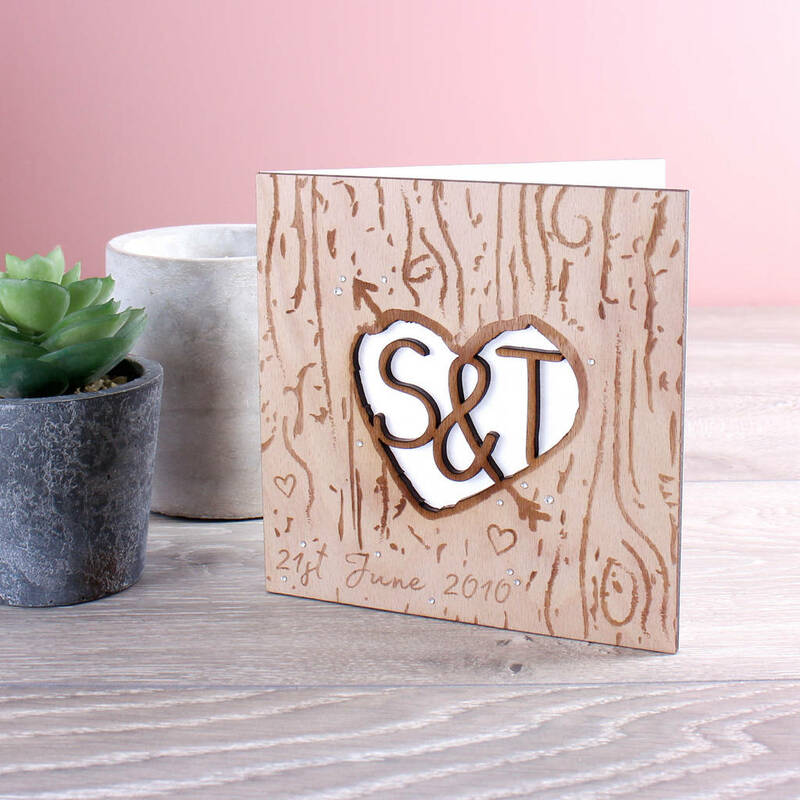 Ideal for celebrating 5 years married on your wooden anniversary or any special occasion, this is a unique keepsake for that speical someone. The card design features a wooden front engraved with a tree bark effect surrounding a cut out heart and arrow to resemble a tree carving. The cut out heart can be personalised with your two chosen initials. The bottom left hand corner of the card has the option of personalisation with other information, such as an anniversary date or both couple’s first names. E.g. ’28.07.1992’ or ‘Shannon & James’. This information can be entered into the personalisation boxes provided. 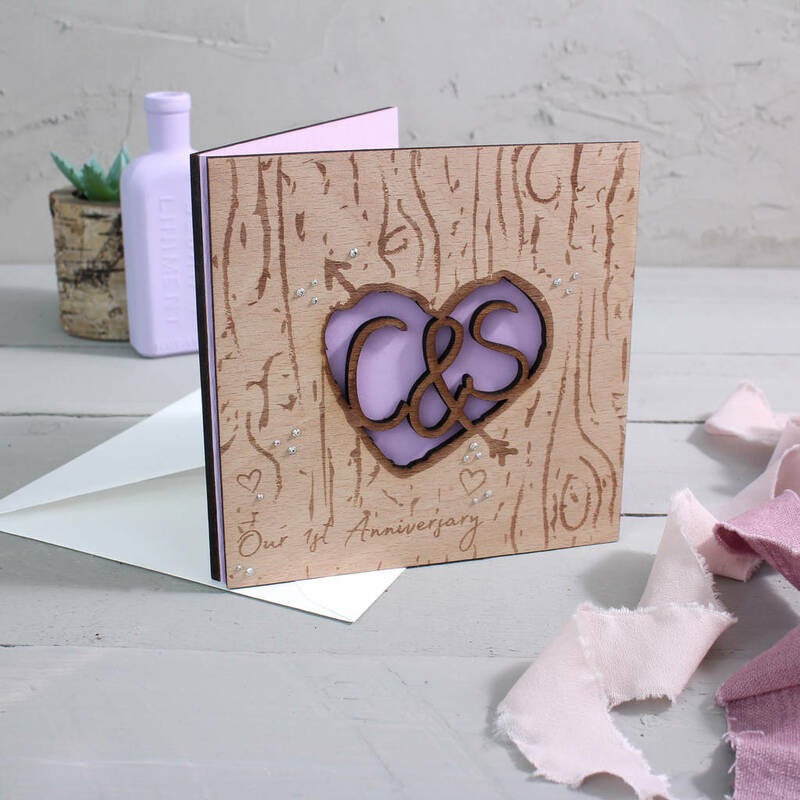 The back of the card is also made from a piece of wood and fronted with a piece of coloured card selectable from the drop down menu, which is visible through the cut out heart. This also creates the inside of the card ready for your own message. This product is dispatched to you by No Ordinary Gift.